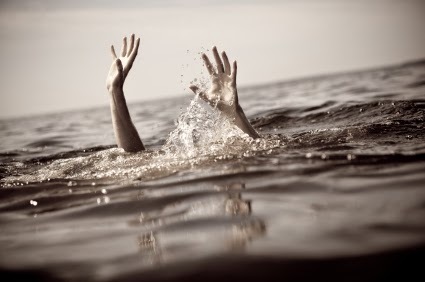 New Delhi, Jul 7 : The body of a 28-year-old man from Manipur, who worked with a BPO, was found in a drain at south Delhi’s Chirag Dilli area in the early hours of Sunday. Police suspect that the man, who was apparently under the influence of alcohol, accidentally fell into the deep drain and drowned. The friends and family members of the victim, however, are alleging foul play. They reached the Malviya Nagar police station on Sunday afternoon and demanded that the incident should be probed as a murder. The victim, Kawilungbou Chawang, had worked with a BPO firm in Gurgaon. Chawang lived in a rented flat in southwest Delhi’s Naraina. He went to a friend’s house in Chirag Dilli to attend a party on Saturday night, police said. Three eyewitnesses have told police that they had seen Chawang running on the streets before he scaled a wall and jumped into a drain. He came out of the drain as it was not deep but unfortunately jumped into another drain which was deeper. Chawang’s friends and family members, however, rejected the claims. They said that it was highly unlikely that an inebriated man could have scaled a high wall, cross a fast flowing drain and then drowned in another. They suspect he was running to save his life from some people. “His friends told us that he consumed alcohol with them before leaving for home late at night without informing them. They searched for him outside the house but couldn’t find him. They then learnt about his death. We are questioning them,” said the senior officer. One of the eyewitnesses, Azad, said that he saw Chawang running on the streets before scaling a fenced wall that separated the drain from the locality. He said there are two drains flowing parallel to each other near the Chirag Dilli village. “The man scaled the wall and landed in the flowing drain. He was swept away for some distance but managed to emerge on the other side. He again started running and stepped into the parallel drain thinking it to be an empty land with a grass cover,” said Azad. He said the drain had a thick film of green algae. Another eyewitness Rohit claimed that his father tried to rescue the victim. “My father was lowered into the drain with the help of a rope, but his short height did not help. We then informed police and fire department who fished him out,” he said.